The first generation, Seiho Samukawa, moved his pottery workshop “Aoi-gama” to Nanki Shirahama in Wakayama Prefecture in 1967. Since then our family has dedicated ourselves diligently to the development of Kishu ware. We have developed the “Nachiguro-Yu” glaze technique first created by Seiho Samukawa and have sought to revive various kinds of Kishu ware which had ceased production a long time ago. 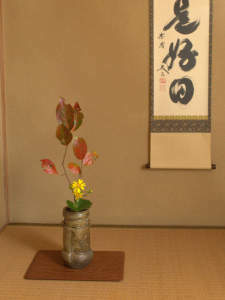 We produce a wide range of pottery for use not only in the tea ceremony but also in flower arrangement, and daily use. We also produce custom-made products at the customer’s request. Moreover, you can also enjoy making pottery yourself under the guidance of our staff at the workshop. We always welcome visitors from overseas and we have become a Tax-Free shop since October 2014. Please feel free to drop by us when you visit Nanki Shirahama.